Celebrate the Chinese Lunar New Year occasion with a special dim sum and nutritious menu at Dragon Inn of Regal Airport Hotel. Dragon Inn’s culinary team has meticulously prepared an auspicious Chicken Bun to ring in the Year of the Rooster. 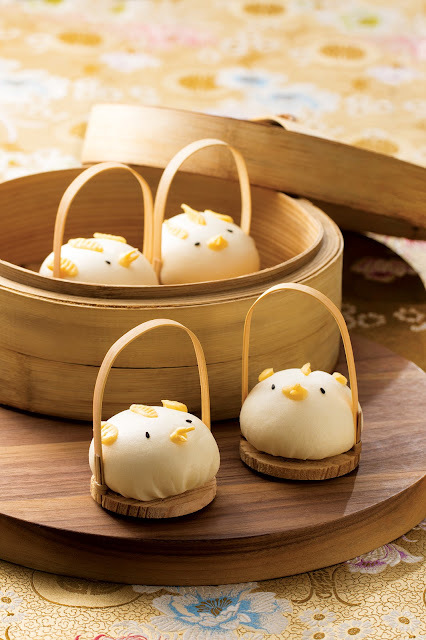 Stuffed with chicken, chestnut and a variety of mushroom, this steamed Chicken bun is designed in a shape of chicken. Cute and delicious! This new dim sum is only available at Dragon Inn and Rouge on the first seven days of Chinese New Year (28 Jan – 3 Feb), priced at $68 for 2 pieces. Shanghainese Chef Yao Li headlines the Chinese new year menu with herbal ingredients including Medlar, Black Fungus, Cordycerps, Ginseng and Smilax Glabra (Tufuling). 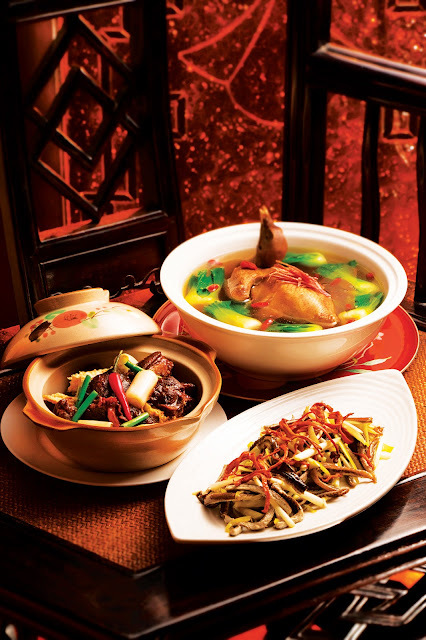 Chef recommendations include Sautéed Eel with Cordycerps and Chives, Braised Mutton with Aconiti Tuber in Casserole, Braised Sliced Mandarin Fish with Black Fungus and Gastrodia, Braised Pig’s Knuckle with Ginseng. A dish to highlight on the menu is the Double-boiled Pigeon with Astragali and Medlar. Medlar are chosen due to its health benefits and lucky red colour to wish every guest good fortune in the coming year. This menu is on offer at Dragon Inn from now until 28 February.